​ELITE SQUAD chronicles the fun globetrotting adventures of six teenaged friends, who are recruited to be a top-secret team of specially-trained space-alien hunters who disguise themselves as NBA ball boys and girls. They take on the responsibility of saving the game of basketball on earth from being destroyed by a ruthless yet humorous space-alien antagonist BUZZO and his army of little sneaky and dangerous SCRUBZ. 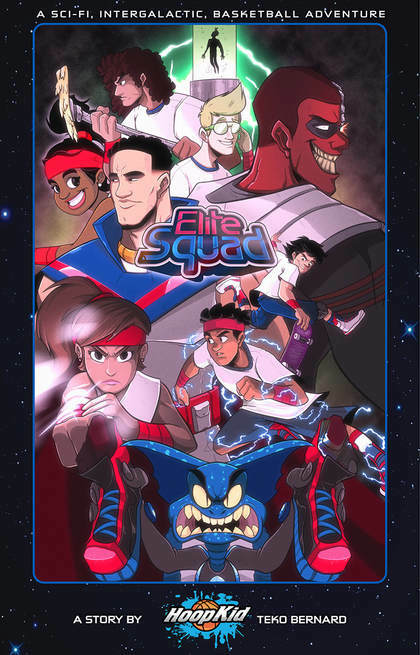 Each episode the Elite Squad travel to a different basketball city around the world to battle with the little blue Scrubz and attempt to protect the NBA and foil Buzzo's nefarious plans to clone the players and destroy the league. With a focus on inclusiveness, Elite Squad is a basketball adventure both boys and girls will love. This fast-paced series isn't just about basketball, spaceships, laser blasters, and cool sneakers, it covers crucial topics such as the importance of courage, friendship, teamwork, and respect. ​GameTime Travelers is an animated shorts series, packed with action, comedy, and the time-traveling adventures of Bernard Jones, and his diverse group of teenage friends. The show blends sports and history with fantasy and mystery. Each episode is guested by one or more of Bernard’s zany friends and chronicles their adventures, as they navigate time travel, take part in the most amazing iconic sports moments of all time while treading lightly to avoid altering sports history or getting trapped in the past. 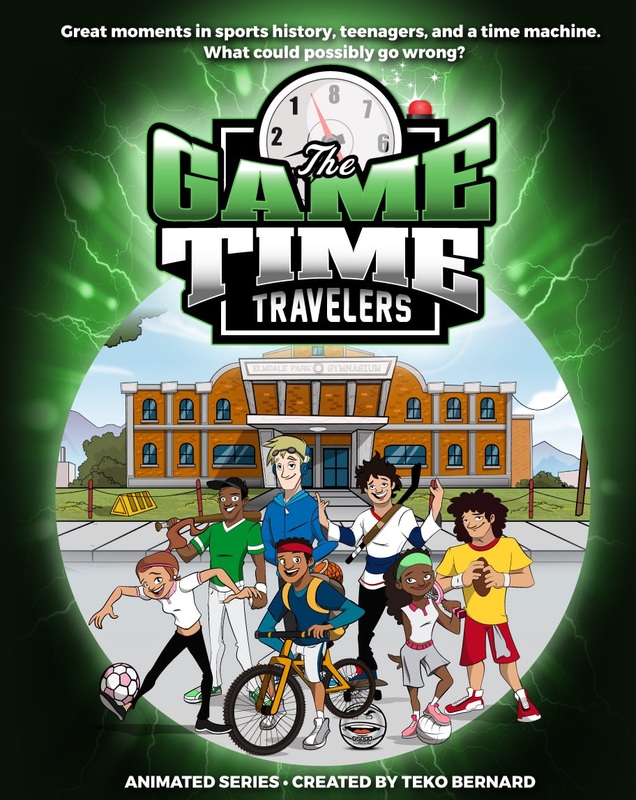 GameTime Travelers is a fun and entertaining way to engage and teach kids about history and sports. It will also inspire kids to get out and play sports to stay fit and encourage them to read and learn more about each episode's topic.